An investigation ordered by Ukrainian president Viktor Yushchenko has claimed the majority of users who asked him in an online poll what price he wants to leave the country come from Russia. The statement was made by Larisa Mudrak, the head of Information Politics from the presidential administration. 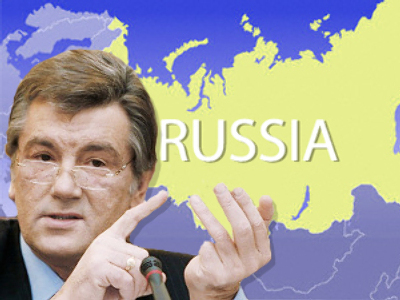 Yushchenko cancelled the conference but in attempt to save face asked “competent state bodies” to look into the matter. “Experts told us it was mainly Russian users who voted for this question,” Mudrak said. She did not explain, though, what particular bodies were in charge of the examination and what methods they used. The Ukrainian online edition “Ukrainska Pravda”, with reference to its own source, said it was a special department within the country’s security service. On Tuesday President Yushchenko told the media that he considers the question a provocation and that its authors are located outside Ukraine, and that it reflects the interests of Russian users. The Ukrainian online edition Ligabusinessinform made its own investigation using the Google Analytics system. It turned out that 82.3 % of online voters were from Ukraine and 12.34% from Russia. The exact IP address of the user who launched the voting is unknown but according to the Ukrainian Liga.net information portal he or she is a subscriber of Ukrtelecom and probably lives in the country. As the question was written in perfect Ukrainian there’s also a high chance of he or she being a Ukrainian.